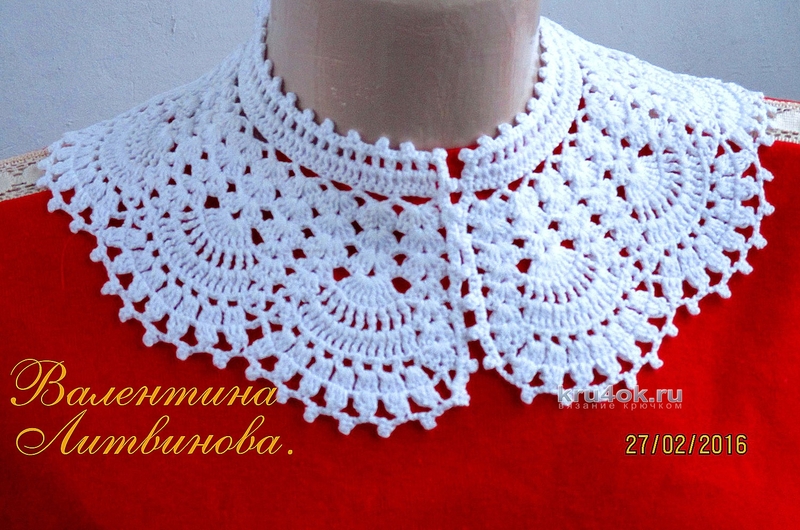 Openwork lace, crochet, never go out of fashion. 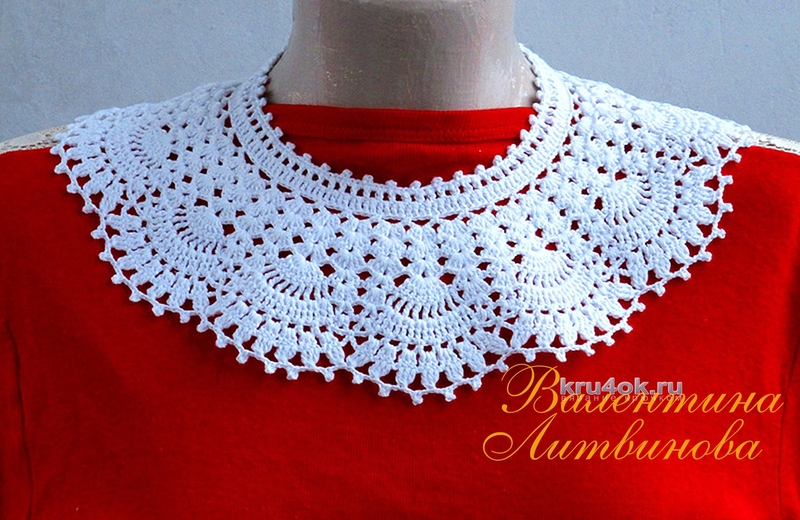 For fine patterns can be seen, what feelings I wanted to convey to You mistress: love, warmth, tenderness, comfort... a Real collar crocheted from 100% Turkish cotton. Looks especially beautiful on children's and women's dresses. 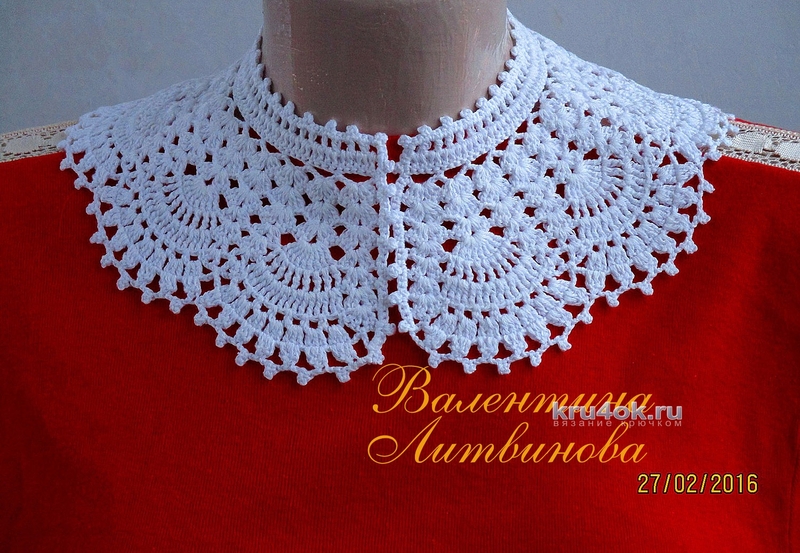 With these charming collars you can create any look: classic, romantic or extravagant. 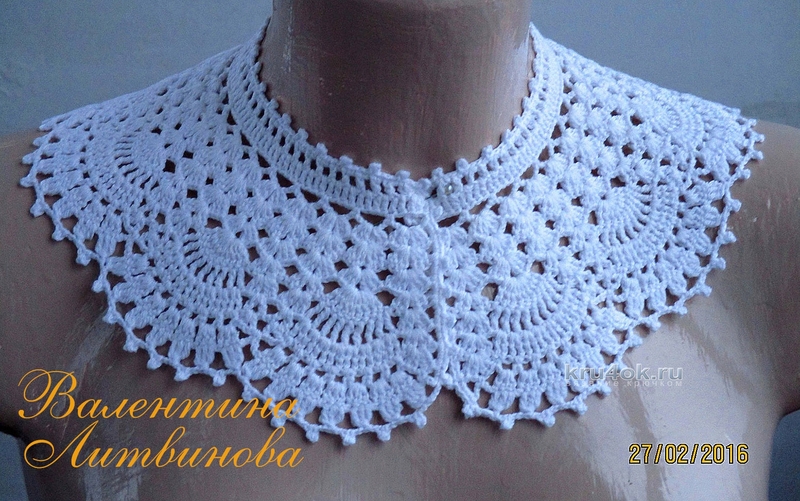 Materials: yarn "iris" (100% cotton), 30 g white; hook № 0,9. Job description: to dial a chain of 124 C. (121 fundamentals V. p. + 3 V. p. of rise). 1st p.: 1 tbsp. s/n in the 5 th V. p. chain from hook, 119 art. s/n in the following 119 V. p. of the base chain from the hook. 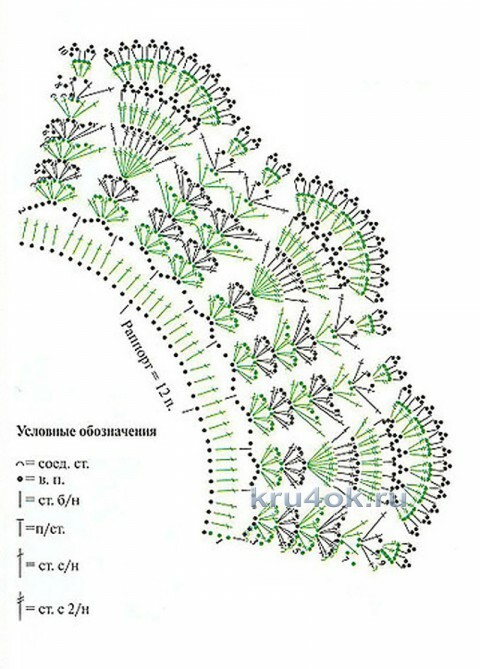 2nd R.: 7 V. p. (V. p. 1 climb + 6 VP), * 1 tbsp. b/n in 4-th century. s/n the previous row from hook*, repeat from * to * 28 times, total 30 times. Further work to continue forward and reverse series under the scheme at the 10-th row inclusive. The finished collar to moisturize, stretch in size and leave to dry.